Creating art from the garden. I have a love of gourds that reaches all the way from growing to creating. The fact that I can grow my own material, or canvas, is inspirational all in itself. 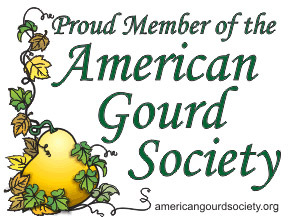 My process always begins with the gourd. The size, shape, feel, thickness, and color, all come together to open my world of imagination. As a self taught pyrographer, I create gourd art with various burning techniques, carving, and cutting. Each production is designed with elements of symmetry and inspiration from nature. I enjoy experimenting and making the most out of each different piece. The project sometimes will call for a certain type of gourd, while other times a gourd will call for a certain type of project. It is my pleasure to share my uniquely burned creations inspired by, and provided by, nature.